Disseminated Intravascular Coagulation (DIC) is a serious medical disorder in which multiple clots are formed that can lead to permanent end-organ damage. Systemic activation of the blood coagulation occurs that results in the generation and the deposition of excess fibrin. This causes the blockage of blood vessels by the thrombi. It leads towards multiple organ dysfunctions as each and every tissue of the body needs a continuous supply of blood to remain alive and functioning. Due to excessive thrombi formation, the platelets and clotting factors become exhausted and depleted. In such a case, any case of minor bleeding will turn into a major bleeding episode. There are two basic problems in DIC. One is the occlusion of vessels by the thrombi and the other is massive bleeding due to the utilization of all factors in the coagulation cascades. Both of them are dangerous and can cause very harmful consequences. Once the vicious cycle gets initiated, a prompt therapy is compulsory; otherwise, the person can die within few minutes of the onset of DIC. It is classified as an acute and chronic form. Aggressive intravascular coagulation and consumption of coagulation factors take place. The risk of organ failure is higher. It is a slow compensated state when the blood is continuously exposed to low levels of stimuli. Permanent organ damage does not result from this. It mostly occurs in the cases of tumors and aortic aneurysms. The most common cause of DIC is severe sepsis. It can be due to gram-positive bacteria, gram-negative viruses, parasites, and fungi. Trauma is also a frequent cause of DIC, especially when the SIRS (systemic inflammatory response system) gets initiated. The released inflammatory cytokines activate the coagulation pathways. The slow evolving DIC often causes DVT (Deep Venous Thrombosis), PE (pulmonary embolism), and cardiac vegetations. The rapid evolving DIC causes bleeding as a result of rapid depletion of fibrinogen and clotting factors. 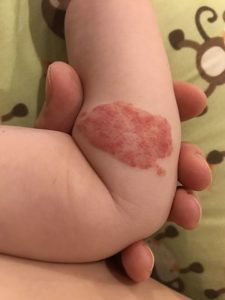 The basic underlying pathology is a disruption of the balance between the Clot formation system and Fibrinolysis in the body tipping in the favour of Clot formation. When there is endothelial disruption or tissue damage, tissue factor gets exposed. This tissue factor (TF) starts the coagulation cascade and generation of thrombin. Thrombin converts fibrinogen into active fibrin and clots are formed. Dysfunctional anticoagulant mechanisms like the depletion of protein C and antithrombin. Fibrinolytic system is depressed as a result of another protein ‘plasminogen activator inhibitor’. The fibrinolytic system is important for breaking down the clots, also the release of inflammatory cytokines. 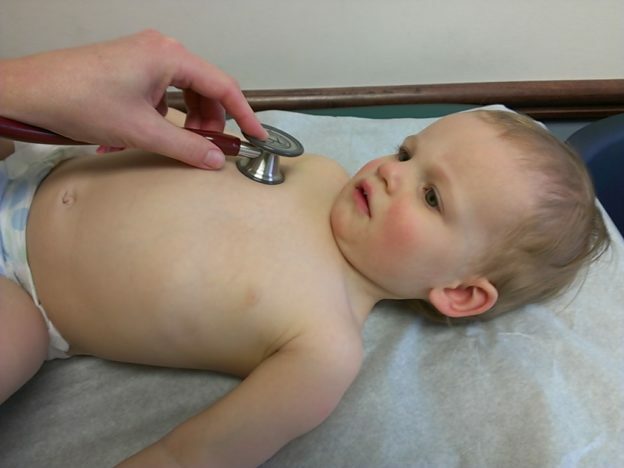 There are three components of the diagnostic workup. The detailed history, physical examination, and the laboratory investigations are done. 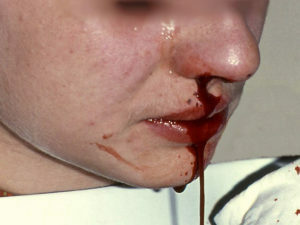 Diagnosis of an acute form of DIC largely depends on the history of the suspected underlying cause (such as sepsis, trauma or malignancy), clinical features, moderate to severe thrombocytopenia (<100,000/microL), specific laboratory findings mentioned below and finding of microangiopathic changes on blood smear. Chronic form of DIC has a lower rate of coagulation factors consumption, but enhancing synthesis of these factors, thus, there might be the only moderate reduction of platelet count, normal or slightly high plasma fibrinogen, normal PT, and aPTT. Identify and treat the underlying cause. Administer Fresh Frozen Plasma: The dose is 10–15 ml/kg and it will improve the clotting factor activity by 10–15 %. Platelet concentrates: 10 ml per kg of platelet concentrates are given to neonates. It will raise the platelet count to 75,000–100,000/ul. The dose is 1 bag/ 5 kg for older children. 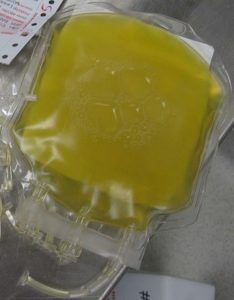 It is usually indicated when platelet levels reach 10,000-20,000/microL. Cryoprecipitate: It provides fibrinogen and factor VIII.It is administered when fibrinogen levels drop below 100mg/dL. Anticoagulant therapy: using Heparin in patients who have or are at risk of venous thrombosis. It is more often used in slow developing DIC and rarely in rapidly evolving DIC. Prothrombin Time < 16 seconds. 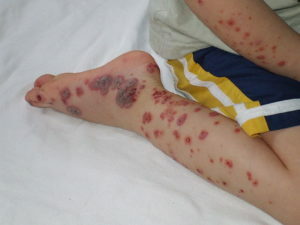 The prognosis of the disease is very variable depending on the cause and extent of thrombosis. An overall ‘poor prognosis’ is associated with DIC. 10–50 % of people die as a result of DIC. Sepsis-related deaths are more common than trauma-related DIC. Chung, Y.W. et al., 2015. “What Is Disseminated Intravascular Coagulation?” Proceedings of the National Academy of Sciences, 112(17). pp. Levi, M.M., 2016. “Disseminated Intravascular Coagulation.” Medical Reference Services Quarterly, 19(3), pp.63–70.